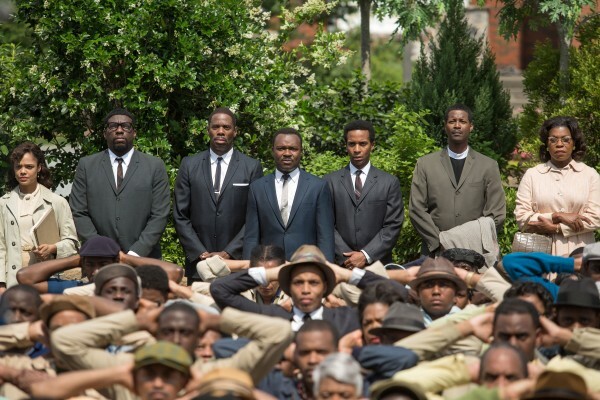 It doesn’t take any post-viewing contemplations to realize just how important “Selma” is. That happens while watching the powerful film from director Ava DuVernay, who has crafted a powerful and relevant feature that follows the protest voting rights marches from Selma to Montgomery, Alabama in 1965. It’s both frustrating and sadly unsurprising how relevant this film is. Thankfully, it delivers an inspiring message in an earnest and non-manipulative manner. 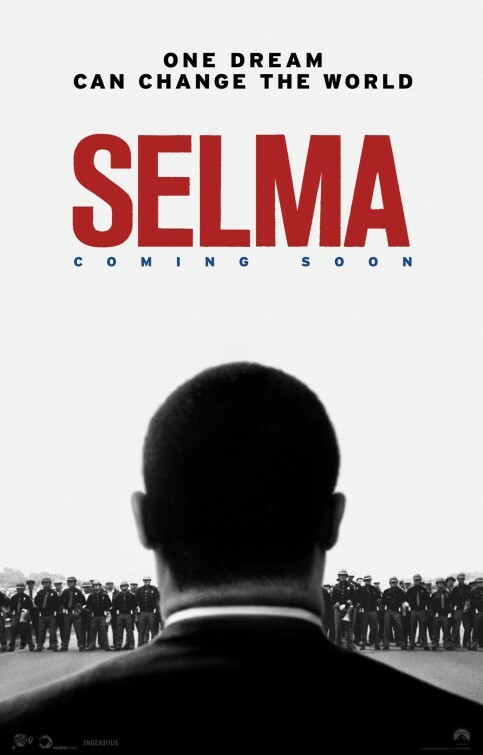 But most surprising and welcome is how “Selma” offers a look at Dr. Martin Luther King Jr. the man – not just the preacher, exquisite orator and civil rights leader. It’s an approach that allows viewers who only know “I have a dream” to relate and understand King as well as the support and opposition he received. “Selma” opens in 1963 during the aftermath of the 16th Street Baptist Church bombing in Birmingham, Alabama, (see Spike Lee’s “Four Little Girls” for more) that claimed the lives of four black girls. Realizing that change must come from the top if violent prejudice is going to change, Dr. Martin Luther King Jr. (David Oyelowo) determines the best location to advocate change in the south is Selma, Alabama. His goal: to secure equal opportunity rights that will enable blacks to vote. He’s aware that while jobs and education are issues, they can only be improved upon if voting is open to everyone, not just white men. With the support of his wife, Coretta Scott King (Carmen Ejogo), despite their strained marriage, King seeks the help of President Lyndon B. Johnson (Tom Wilkinson), asking for his immediate involvement. When that fails, he decides a series of peaceful protests in Selma could attract the needed attention his cause deserves. With the help of those in the SCLC (Southern Christian Leadership Conference), among them James Bevel (Common), Bayard Rustin (Ruben Santiago-Hudson), Ralph Abernathy (Colman Domingo) and Hosea Williams (Wendell Pierce), King begins to organize an ambitious march from Selma to Montgomery. In the process, King and his band of brothers encounter those uncertain of his efforts, like SNCC (Student Nonviolent Coordinating Committee) John Lewis (Stephan James) and those in direct opposition of equality, like racist Alabama governor George Wallace (Tim Roth) and a bigoted sheriff. The organization of these marches must be plotted out methodically, keeping in mind how the media would cover the inevitable violent opposition met by law enforcement, coverage that has its pros and cons (as we know all too well today). It would provide them with the needed awareness around the country, but at the cost of boiling hatred, death threats and violence toward the black community. As the safety and well-being of his followers weigh heavily on King, doubt and regret arise in the quiet moments behind the scenes of the leader’s public appearances and persuasive speeches. Black citizens were indeed beaten and killed for their involvement in the Civil Rights Movement and DuVernay and first-time screenwriter Paul Webb bring a palpable reality to these tense and horrifying moments.This can be seen in the struggles Annie Lee Cooper (Oprah Winfrey) endures as she registers to vote and in the heartbreaking scenes of violence that are as painful and uncomfortable to watch as the current events that make the news today. The provocation of these scenes come naturally because of our emotional investment with the characters and how DuVernay and cinematographer Bradley Young (“Pariah” and the recent “A Most Violent Year”) involves us personally with close-up shots, handheld camerawork and unflinching depictions of contemplation, cruelty and injustice. The march violence scenes are filmed with subtle style, balancing the historical oppression with the chaos of the moment. “Selma” definitely has some of the most challenging moments I’ve seen on screen all year and I’d be a liar to say that has nothing to do with how little things have changed in race relations today. It wasn’t necessarily intentional on the part of the filmmakers to remind us of the events in recent months (how could it? ), still, the film has a “history repeats itself” undercurrent that’s impossible to ignore. There haven’t been many movies focusing on Dr. Martin Luther King Jr. and for good reason. It could easily go wrong. A biopic covering his entire life would likely fall into the typical trappings of the genre, leaving little time to cover all the impacting moments in the civil rights leader’s life. Better to be exhaustive, like the 1978 miniseries “King” with Paul Winfield in the lead role that spanned three nights or focused on a specific event in the icon’s life like how the 2001 television movie “Boycott” starring Jeffrey Wright as King, which told the story of the Montgomery bus boycott. 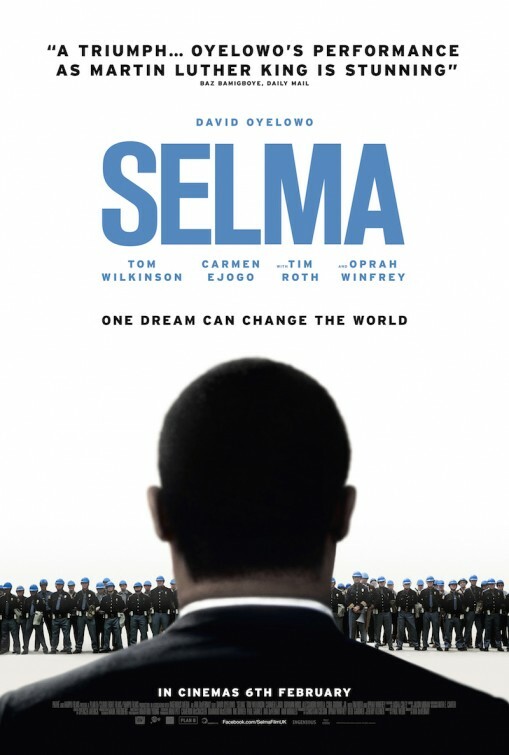 In this film, focusing on the events leading up to and during the marches in Selma is compelling enough. It offers an affective up close look at a shameful and pivotal time in America and it also informs us, showing details that were either forgotten or never known. I had no idea of the difficulty King experienced in his numerous attempts to get assistance from President Johnson. Regardless of how historically accurate those scenes in the Oval office are between King and Johnson (played with convincing conflict by Wilkinson), I found King’s respectful boldness and the President’s conflict to be an interesting dynamic. But the most compelling aspect of “Selma” is the lead performance by David Oyelowo. The British actor, who was recently seen in “Interstellar “ and “A Most Violent Year” is phenomenal in this challenging role. His transformative portrayal is amazing, adapting King’s body language, cadence and voice successfully. It’s far beyond that of a good impression. 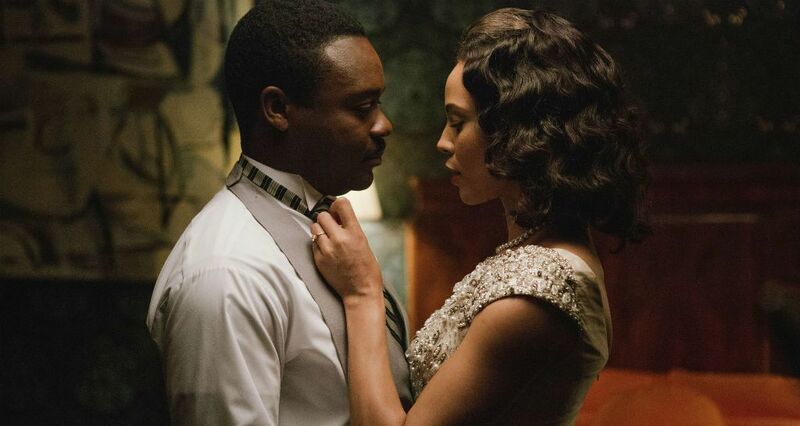 Oyelowo benefits from having material that allows us to see and feel the obvious stress on his marriage, with a heartfelt monologue given by Carmen Ejogo’s Coretta that’ll leave a lump in your throat. But, this is Oyelowo’s show all the way. I attended a screening with both DuVernay and Oyelowo in attendance and I’ll admit, I had to do a double-take to recognize Oyelowo. His morphing work here is just that amazing. I want to see it again just to study the way he loses himself in the role. “Selma” may suffer slightly from the inclusion of too many characters, making it a challenge to keep up with who they are and where they stand, it doesn’t take away from how exceptionally made it is. Through compelling drama and deeply convicting truths, Ava DuVernay has made a bold and inspiring film that should and will be remembered for years to come, regardless of the amount of awards it wins. It already wins just by existing.